This CMI function allows you to create portals through which you can execute commands on the players that cross them. To create a portal, you need a wooden shovel (default selection tool), cmi.command.portals and cmi.select permission. 1. 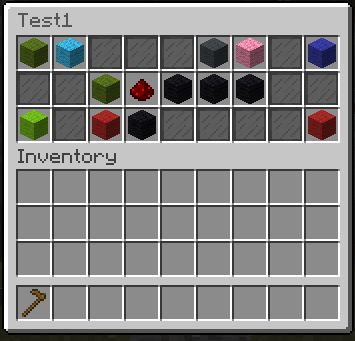 Now you select the area (like worldedit) in which you want to create the portal. The selected area is highlighted by particles. 3. Now you have to set the destination point, where the player will be teleport. 5. Now let's see how to add commands. Click on the black wool on the bottom. 6. Click on + sign to add new command, which will wait until you enter new command into chat window. Don't start with / as regular commands, simply write basic command. [playerName] variable can be used to include players who interacted name. Enter new command into chat and press enter. 7. Here it is, now who will enter in that portal will be teleported and the fly will be removed. If we want we can remove the command that gives the effect of blindness by clicking on the X. 8. Here's how a portal is saved in the Portals.yml file. I prefer to manage portal commands through the file. In the config file are automatically assigned cmi effect [playerName] blindness 2 1 -s If you want to remove it, just replace it with none. Portals will work over bungeecord network and you can teleport players across your servers. How to setup portal? It can't be simpler. Make portal, open portal UI, click on set location button and you will get message in chat box. Travel to desired location, same server or on bungee (both servers should have CMI) and click on that message. You are done. That's it... Travel to location and click on chat. No commands, nothing. Just like that. Portal commands will work over bungee network and will be applied after player is teleported. Too add custom sound played while player enters the portal add this to the portal.yml command section. Note: Sound names can be different based on your Minecraft version. You can add as many commands as you want and specialized commands can be utilized.